Jace – Exclusive mix for bejbi.se. The eight of our series of exclusive mixes..
Click ”see the rest of this entry” to read more about Jace and to download the mix. Jace (also known as JMN) got introduced to the art of electronical music while studying in the secondary education school at Turku, Finland. After listening to more mainstream music Jace’s taste slowly evolved to the direction of trance and other electronical genres. As a result Jace started to mix CDs together around year 1998 and has continued his career ever since. Known for his Scandinavian taste and style, his gigs and radio shows can provide the audience quite a variety of different kind of music. The style varies usually between melodical and progressive trance but can also have slight impressions of electro and tech trance. The well-selected play list might start off with soft, emotional and summerish trance and can end to harder tech trance or even pure, clubby electro. 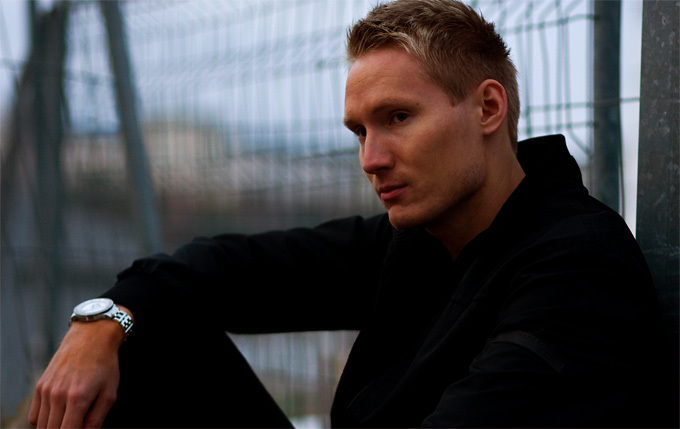 Jace started his career in the Scandinavian cruise ships, playing beats from various genres. It was not long till he moved on to play electronical music in smaller clubs and private, underground parties. A while after Jace found himself playing in parties such as the world-famous Mondaybar cruises, Ministry Of Sound and Cream. As if this would not be great enough, during his career Jace has played with some of the biggest DJs and artists in the electronical scene such as Andy Moor, Markus Schulz, John 00 Flemming, Cosmic Gate, Rank 1 and even Armin Van Buuren. Lately Jace has started to produce his own tracks and has already done co-operation with other upcoming artists whom include for example Progresia, Ima’gin and Tempo Giusto. The collaboration with latter one has brought Jace already a record deal with Finity Recordings.